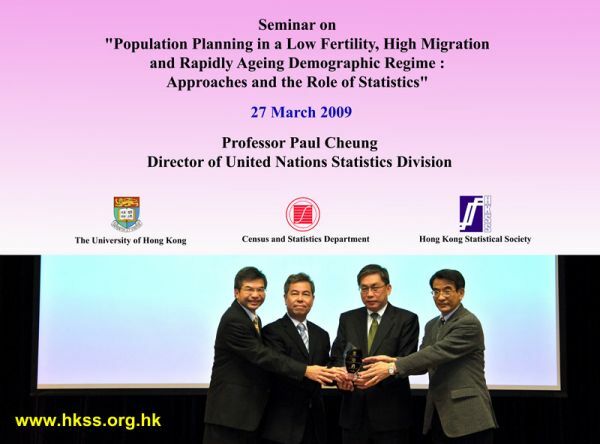 The Census and Statistics Department (C&SD), the Department of Statistics and Actuarial Science (DSAS) of the University of Hong Kong and HKSS had jointly organized a seminar on "Population Planning in a Low Fertility, High Migration and Rapidly Ageing Demographic Regime : Approaches and the Role of Statistics" on 27 March 2009 (Friday) delivered by the Director of United Nations Statistics Division (UNSD), Professor Paul Cheung. 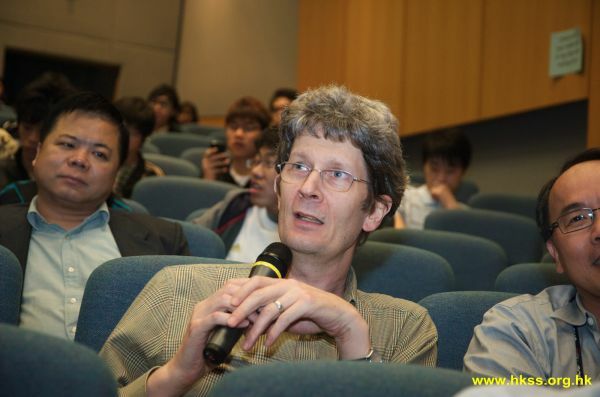 The Seminar attracted about 150 participants from various sectors of the community, in particular the academia, professional statisticians from both public and private sectors. 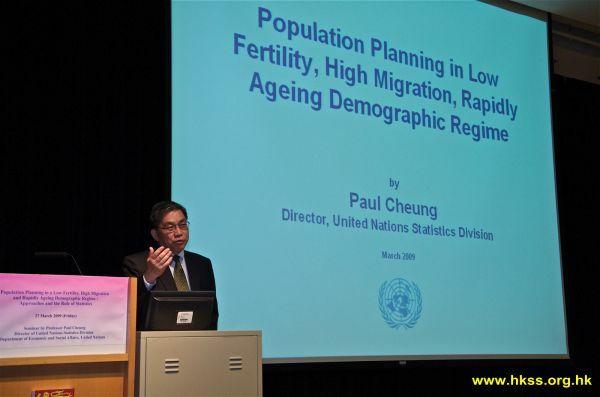 At the Seminar, Professor Cheung explored the intricacies of population planning in Singapore and their relevance to other Asian countries and regions. 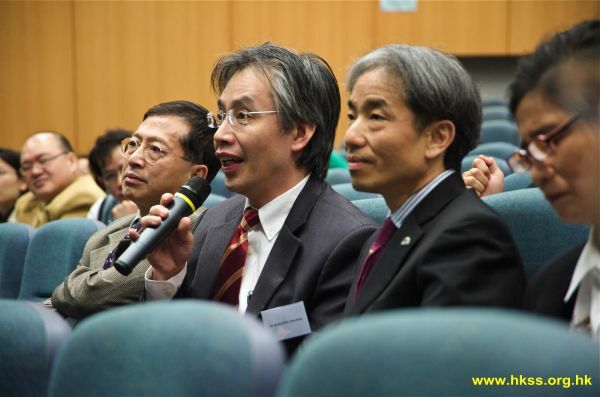 Apart from discussing the drivers of Singapore's population trends and their impact on the Singapore society, Professor Cheung also talked about population policy options in a multi-ethnic city state and the role of statistics in supporting population planning.